Flight MH17 operated by Malaysia Airlines broke up in the air probably as the result of structural damage caused by a large number of high-energy objects that penetrated the aircraft from outside, according to the preliminary report. MOSCOW, September 9 (RIA Novosti) - Flight MH17 operated by Malaysia Airlines broke up in the air probably as the result of structural damage caused by a large number of high-energy objects that penetrated the aircraft from outside, according to the preliminary report by the Dutch Safety Board. "There are no indications that the MH17 crash was caused by a technical fault or by actions of the crew," indicated in the report. The Malaysia Airlines Boeing-777, which crashed in eastern Ukraine in mid July, fell into pieces during flight after being hit by “a large number of high-energy objects,” the panel of investigators said Tuesday in its early report on causes of the crash. “The available images show that the pieces of wreckage were pierced in numerous places. The pattern of damage to the aircraft fuselage and the cockpit is consistent with that which may be expected from a large number of high-energy objects that penetrated the aircraft from outside,” the report reads. MH17 proceeded as normal until 13:20:03 (UTC), according to the report. The communications among the crew members recorded on the cockpit voice recorder show no signs of any technical faults or an emergency situation, there were no warning tones heard in the recording and no emergency calls were made. The investigation was conducted according to the standards of the International Civil Aviation Organization (ICAO), a specialized agency of the United Nations. The only objective of this investigation is the prevention of similar accidents and incidents, the report says. Experts have announced that additional investigations are needed in order to explain the Malaysian Airlines passenger jet that crashed in Ukraine as more evidence may appear, according to a preliminary report released by Dutch Safety Board on Tuesday. “More research will be necessary to determine more precisely what caused the crash and how the airplane disintegrated. The Board believes that additional evidence will become available in the period ahead. From this point on, the research team will start working towards producing the definitive investigation report. The Board aims to publish the report within one year of the date of the crash,” the Dutch Safety Board said in a statement. “The initial results of the investigation point towards an external cause of the MH17 crash. More research will be necessary to determine the cause with greater precision. The Safety Board believes that additional evidence will become available for investigation in the period ahead,” Tjibbe Joustra added. 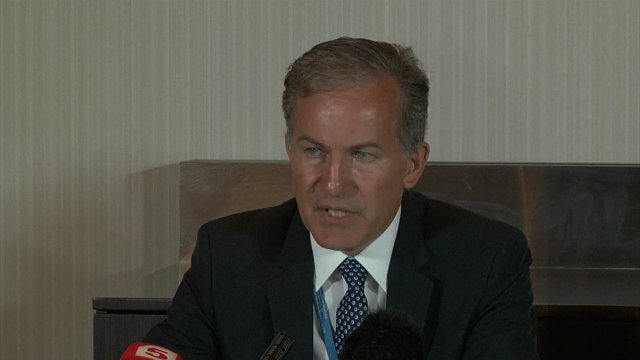 The final report will be prepared by “the same team, same members, same countries,” Vernooij said. The Board also said that the preliminary reports were sent to the other countries involved in the investigation, including Malaysia, Ukraine, Russia, the United Kingdom, the United States and Australia and their reactions to the report have been received. “All Accredited Representatives have sent a reaction. The Dutch Safety Board assessed the provided suggestions and amended the report where appropriate,” the report says. Flight MH17, flying from Amsterdam to Kuala Lumpur, crashed on July 17 in the Donetsk region, killing all 298 people on board. Kiev accuses independence supporters in eastern Ukraine of shooting it down but cannot provide any evidence. The local militia leaders insist that they do not have weapons capable of shooting down a plane flying at 32,000 feet. The Dutch Safety Board does not have the right to apportion blame or responsibility on any party.